It's been such a long while since I've blogged and boy have I missed the opportunity to express myself in writing. I met with a good friend today who is also a writer and the two of us reflected on what we love most about writing. I have to say the ability to express yourself creatively is so cathartic. There's a sense of magic and a zest for life that fuels me when I get to write. When writing is such a huge part of you and you're unable to get over that emotional or mental block, it truly makes you feel out of balance. 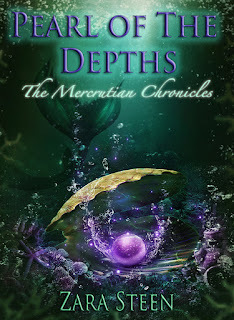 All that being said, I've been working on Pearl of the Depths and I'm overjoyed that it's in progress. I hope to have it finished by this summer and I'll certainly share what I can along the way. For now, back to writing I go!